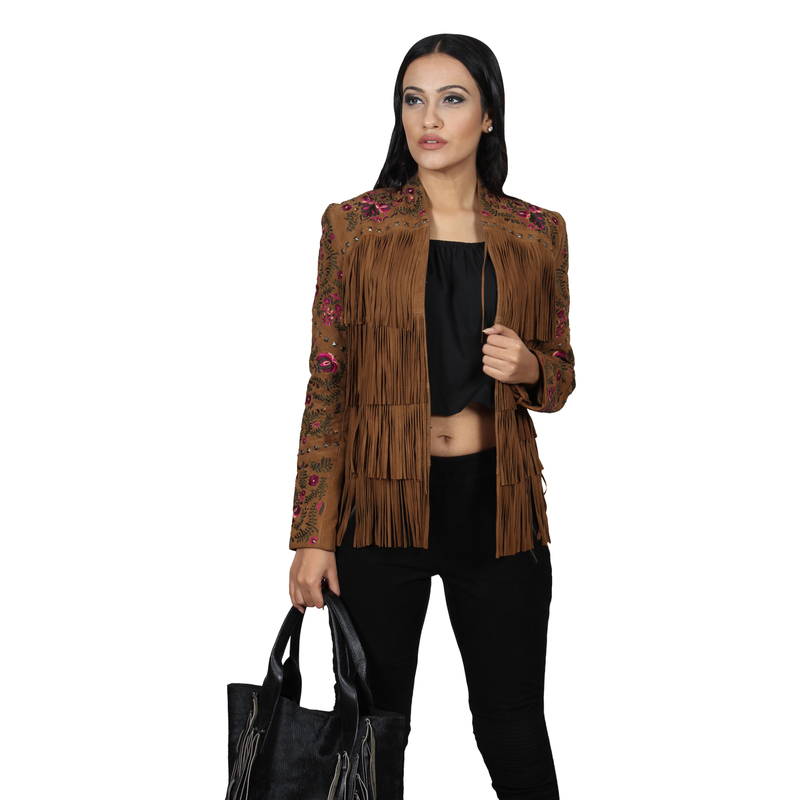 Fringes Jacket, Embroidery on Sleeves, Front Yoke & Back Yoke. SKU: Style: UF-L1702. Availability: In Stock Category: Women's Garments.